We are reaching out in the hope that you will attend the Village Board Meeting tomorrow, Tuesday April 26 at 8:00pm at the Village Hall. 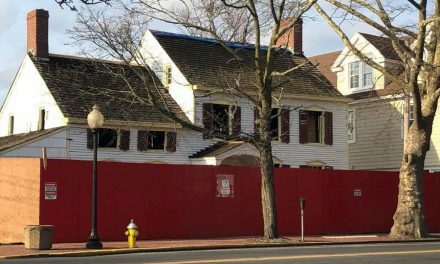 The Conservancy just learned that the lawyer for the owners of 527 Deer Park Ave-1790 David Smith House.-will apply for a demolition permit. Please let the Board of Trustees know how you feel. If you can’t attend the meeting, call the Mayor’s office-669-1212..or attend AND call! Jerry Mitkovsky, who has made tremendous effort to preserve the house and ensure that the property owners are adhering to Village codes(see his letter below and attachments), will be addressing the Board. This house is eligible for placement on the National Register of Historic Places. 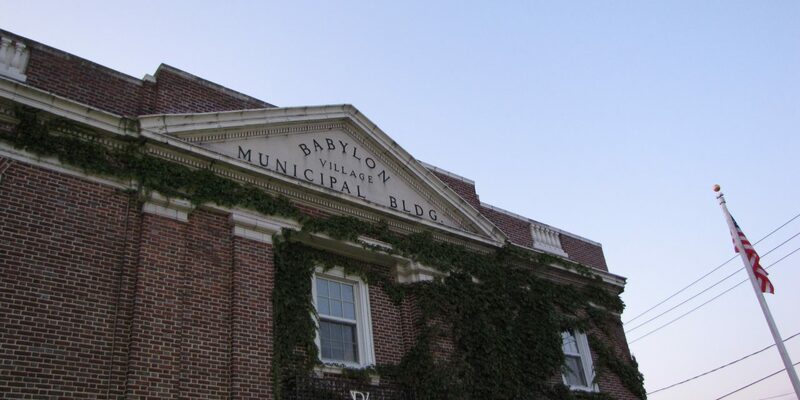 In September 2012, in reaction to the Indian Crossing Development on the David Smith property that included the tear down of the historic home, the Babylon Conservancy generated a petition that supported a moratorium on razing buildings that were over 100 years old. Over 700 Village residents signed the petition, and over 50 residents attended the October 2012 Village Board of Appeals meeting. At the end of the meeting, the Mayor indicated that he would support the moratorium. Many of you signed that 2012 petition and/or attended the meeting with the Board of Trustees. We all left with a positive feeling that we were on the way to establishing an historic review law to protect the historic legacy of Babylon Village’s heritage homes. Shortly after, the Mayor made efforts to mediate an agreement between the owners of the Indian Crossing Development and the Babylon Village Conservancy. It was agreed-with the owners- that the Conservancy would try and find a buyer, and that the house would be moved to a new foundation on the property. Despite being hamstrung-we were not allowed to advertise or use a realtor- 2 potential buyers were found. One buyer-the Town of Babylon Historian- made several written offers and phone calls (offers made via voice mails that were never returned) to the owners that included paying to move the home to it’s new foundation. According to the buyer, there was no response from the owner and 527 was allowed to deteriorate over the years. I’m glad that Carolyn James has challenged our contention that laws have been broken with respect to what the Board has permitted to happen at the Indian Crossing subdivision. As she stated, that is her duty. And as I have always said “accept nothing I say…make me prove it”. Perhaps you can forward this e-mail to Carolyn so she can have that proof. It might do well to forward this to your members so they can fully grasp (and share) this information with others. Once again, I need to make it clear that I am not an attorney; I am a code consultant. As a code consultant it is clear to me when a code (the LAW) is not being complied with…and I’m certain that anyone reading this e-mail (with its attachments) will conclude the same…as would the NY State Supreme Court if/when submitted as an Article 78 Proceeding. The first document (scan 0013) is a copy of the variance extension that permitted the Ognibene’s to construct the new house (521 Deer Park Avenue). As a legal document it clearly states “the approval previously granted is hereby extended subject to the condition that the existing home is preserved to remain on one of the lots which comprise the subdivision.” As we know the Ognibene’s have voiced no objection to this condition and went ahead and built the new house while totally ignoring the condition of the variance. The variance, the LAW, requires that the existing house be preserved on one lot. the new house shall not be “used or occupied” until all “conditions have been complied with”…..
a certificate of occupancy cannot be issued by the Building Inspector until those conditions have been complied with…..
And yet, on October 1, 2015 the Building Inspector issued a certificate of occupancy for the new house….in violation of the LAW. The third document (scan 0015) is a letter from the Building Inspector to Chase Ognibene and Vincent DiCanio which acknowledges that they may be-up-to-no-good and cautions against demolishing the “existing home”…..and…..in the last sentence states “Moreover unless the Zoning Board removes the condition [to preserve and maintain the existing home] a certificate of occupancy for the new dwelling will be withheld until the condition requiring relocation is met.” Five months later the Building Inspector issues a certificate of occupancy any way….in violation of the LAW. the current certificate of occupancy has a condition that appears on it. Obviously the existing home was not been relocated before a certificate of occupancy was issued….as per LAW, the Ognibene’s have not moved the home yet…as per LAW, and a title search would reveal the existence of the amended certificate of occupancy making it impossible for the owner of the new home to sell the house or to refinance it….probably a violation of LAW too. I hope that this clarifies that Chase Ognibene has and continues to violate the LAW and that the Board, which has full knowledge and oversight of the matter, has also violated the LAW by failing to enforce the LAW. If you or Carolyn James require any additional supportive information, please do not hesitate to contact me. 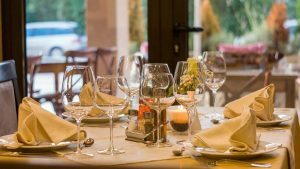 I’d be glad to sit with the two of you to review these and other compliance and enforcement failures….something each of the Board members refused to avail themselves of.